My name is Mike Brand and I graduated from the Human Rights Minor program at UConn in 2007. I just recently returned from my fourth trip to Rwanda. I was there leading a group of students from American University (AU)—where I’m currently pursuing a Masters in International Peace and Conflict Resolution—on an Alternative Break trip. Our trip’s focus was to learn about how Rwanda looks today, 19 years after the 1994 genocide, and explore the progress Rwanda has made in healing, reconciliation, and development. My family and I at the Agahozo Shalom Youth Village, 2013. 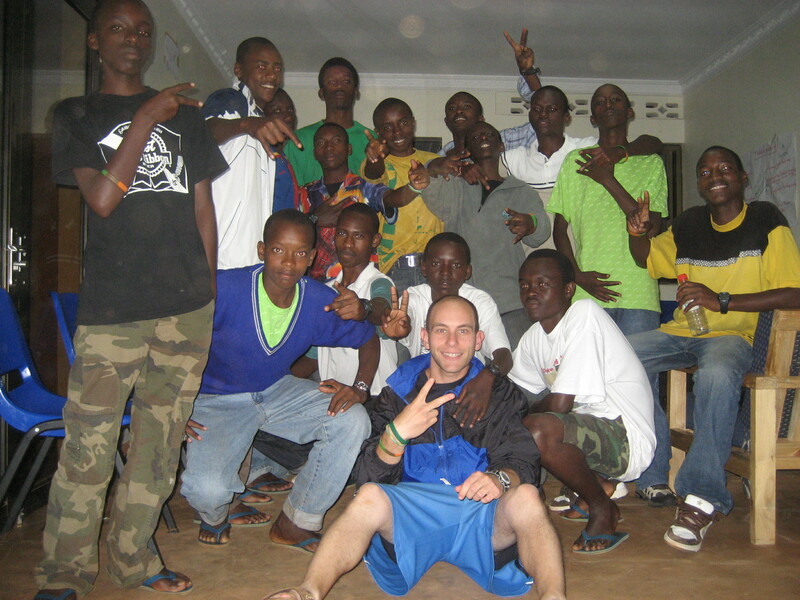 When I tell people I’m going to Rwanda, or about the work I do in the human rights and mass atrocities prevention movements I often get asked the question “how did you get into all of this stuff?” And while there are a number of different factors that led me to pursue this kind of work, a major influence was my experience at UConn. I can largely trace my involvement in human rights work to one class I took during my junior year entitled Human Rights in Democratizing Countries. Before I took that course my goal was to become a doctor and spend the majority of my time in Africa providing medical aid to victims of conflict. I can’t answer the question “why Africa?” it was just a place I was always drawn to. However, after taking my first human rights course, my priorities shifted. My main topic of research during the course was the 1994 Rwandan genocide. And it was during that research that I started to see the world differently. I couldn’t help thinking: How did this happen? Why didn’t I ever learn about this before? And what can we do to prevent something like this from happening again? After taking that course I decided I was not interested in applying “band-aids” to victims of conflict but rather on working to solve the overarching issues and improve the situation holistically for the group, instead of treating the individuals. It was during this time that I switched direction in my studies, picked up a double major (History and Political Science) and added the Human Rights Minor (unfortunately there wasn’t a major back then at UConn). I made the decision then to do what I could to ensure nothing like the ’94 genocide would happen again, a little idealistic I admit, but it’s good to have long-term goals right? 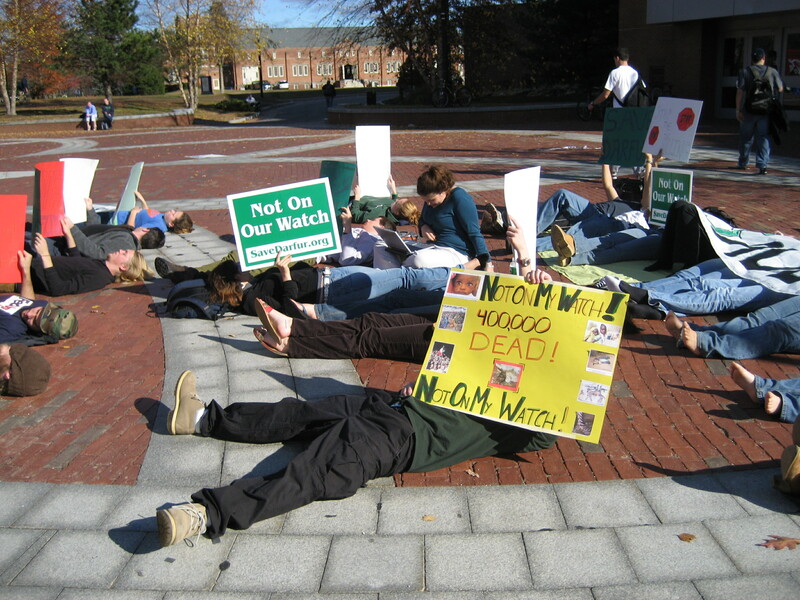 I got involved in the genocide and mass atrocities prevention movement (which at the time was largely focused on Darfur) through organizations such as STAND and the Genocide Intervention Network. I started a student organization on campus, called Idealists United, to try and raise awareness of human rights and various human rights issues while simultaneously encouraging students to become activists. Working in collaboration with the Human Rights Institute and various clubs on campus we organized the first Human Rights Awareness Week at UConn and put on a lot of other successful programs and events. After graduating from UConn in 2007 I was fortunate enough to land an internship that led to a consultancy job at a nonprofit in New York. I worked there for about a year but wasn’t in love with my job so I decided it was time to take a trip to Africa. But first I needed to figure out where I wanted to go and what I wanted to do. I started searching for volunteer programs but most of the things I found were very, “come dig a well, play with some kids, and go home” and that wasn’t really what I wanted to do. Finally I found a small nonprofit called Never Again Rwanda (NAR) which was working on human rights, reconciliation, and youth peacebuilding in Rwanda, and they were willing to have me. So I quit my job, convinced my girlfriend at the time (another UConn/Human Rights Minor alum) to come with me, and we set off for Rwanda. I spent three months in Rwanda building relationships, trying to further understand the country’s troubled history, and learning more about the genocide. While working with NAR I traveled the country meeting with youth and worked with them to show how human rights education, awareness, and action could be used as a means of combating genocide ideology and preventing genocide. While in Rwanda I fell in love with the country and its people. I knew I’d return some day but was not sure when. Fortunately I didn’t have to wait too long. 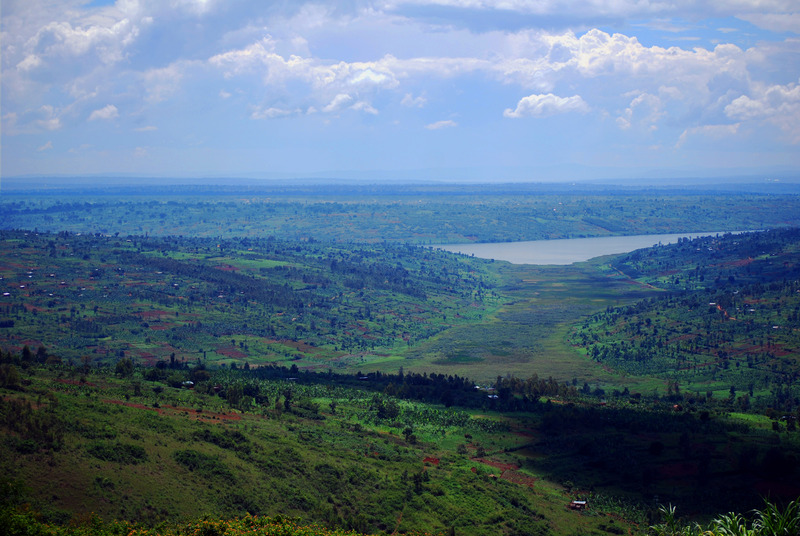 The Rwandan Countryside–Land of a thousand hills. 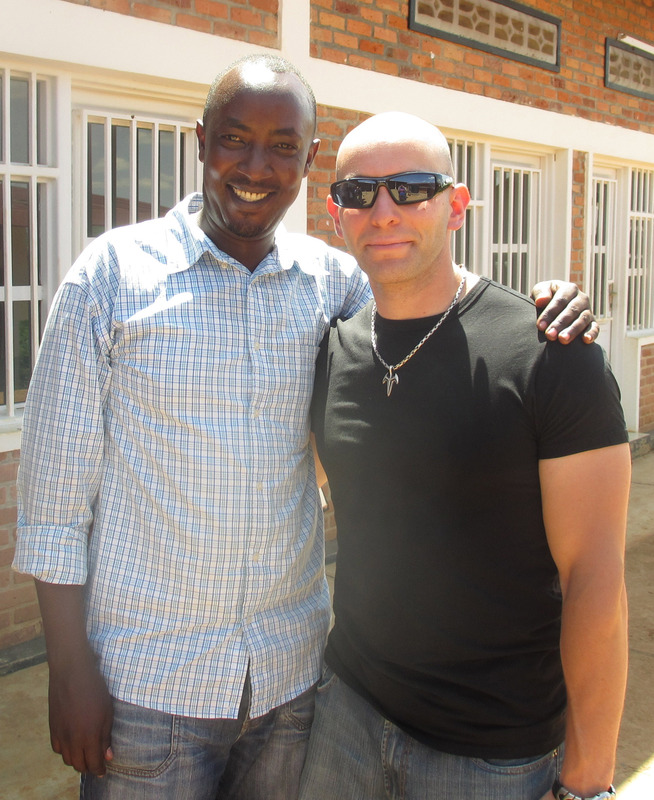 A little over a year later I returned to Rwanda on a year-long fellowship from the American Jewish Joint Distribution Committee to live and work at the Agahozo-Shalom Youth Village. While my three months in Rwanda were highly informative, they did not compare to living and working in Rwanda for a year. If I could give one piece of advice to aspiring human rights activists who want to do work abroad it would be, make sure you live in a country for at least a year. The extended time in-country allows you to really see and understand things at a deeper level that you might not otherwise be able to witness or understand on a shorter trip, and definitely won’t be able to if you only go for a few weeks. So where am I today? Well as I mentioned in the beginning, I’m in Washington, DC studying International Peace and Conflict Resolution at American University. I moved down here because of AU’s program but also because I have always wanted to live in DC and take advantage of all that this city has to offer. Last semester I was fortunate enough to get the opportunity to intern at the State Department in the Office of the Special Envoy for Sudan and South Sudan. Being that I have worked on Sudan issues since 2005 and have been heavily involved in advocacy campaigns to get the US government to take action in Sudan, it was a great opportunity for me to see what it was like on the other side of the aisle. Instead of being the advocate lobbying government officials, I got the opportunity to see the inner workings of US foreign policy in Sudan at the highest levels. It was definitely an eye opening and educational experience. So what’s next for me? I have one more year left in my Master’s program and then it’s back to the job market. Ideally I’ll be able to find a position at an NGO that focuses on human right issues in Africa and I can remain in DC. Otherwise I’ll be applying for positions abroad and hopefully get the opportunity to travel to different regions throughout the continent. Obviously that’s not my whole story but just a snippet. If anyone has any questions for me, undergraduates, graduates, professors and anyone interested in human rights, or would just like to chat about human rights issues, feel free to reach out to me at mikebrand23@gmail.com. My brother from another mother -Benon and Me.